To me, finding a good natural deodorant is like finding a good pair of jeans. It could take weeks, months… Heck, it’s taken me YEARS. But when you find ‘the one’, you know it was worth the time and effort. And that to me is Schmidt’s Rose + Vanilla Natural Deodorant Stick. 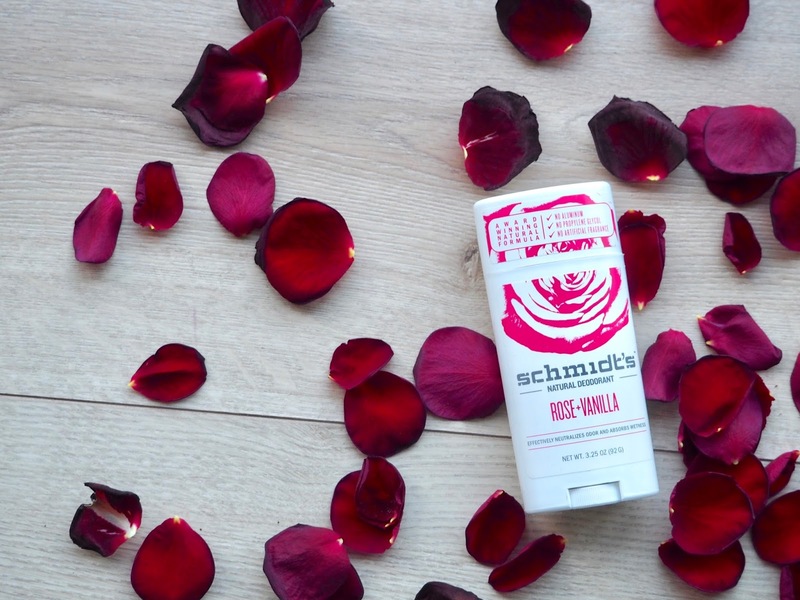 You may know Schmidt’s for their pot deodorants, which I’ve tried in the past as well. I absolutely adored the formulation and scent – Cedarwood & Juniper is to die for – but found the paste too solid and the whole blending your deodorant on your pits thing a bit of a hassle. I’m not the sweatiest person, so my criteria isn’t even of high standard. That being said, I believe that commuting during rush hour in the underground makes everyone break into (a cold) sweat. What I love about Schmidt’s is that it keeps odour at bay and keeps the pits dry without irritating my underarm area and leaving red rashes. The stick deodorant is 100% natural, certified vegan, aluminium, propylene glycol, parabens, phthalates and gluten-free. It contains Arrowroot Powder, Coconut Oil, Candelilla Wax, Shea Butter, Baking Soda, Jojoba Seed Oil, natural fragrance and Vitamin E —all listed in order of quantity. The only ‘red flag’ I see could be the Baking Soda, which is a known irritant for some. I’ve not had any problems with it so far and I find it very comfortable to use and wear. The scent is Rose with a subtle hint of Vanilla, as the name suggests. It does linger slightly, but is by no means overpowering. I’m happy to report that the stick deodorant is just as reliable as the pot variants. Let’s just say it’s a lazy girl’s dream… Whilst I reckon this will take forever to finish, I’m already eyeing up the Geranium, Cedarwood & Juniper and Spruce & Spice variants. Someone stop me! Next Post A New Leaf – Hello 2017!